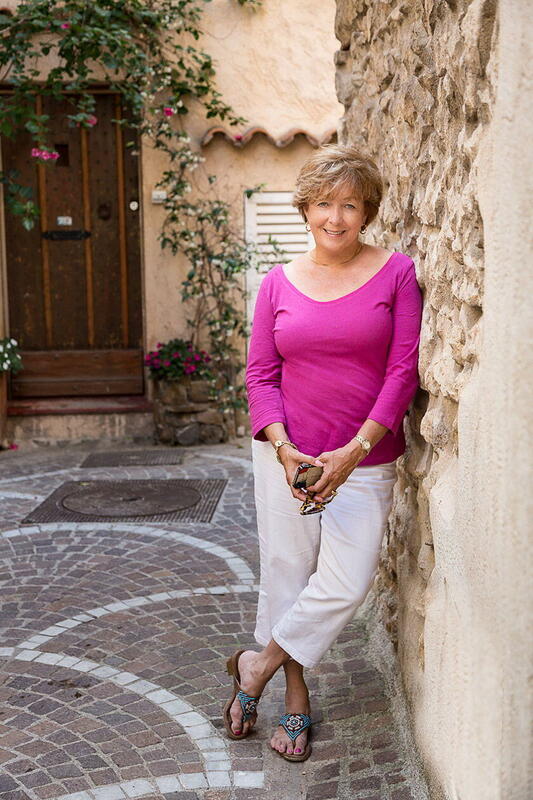 Lunch with a girlfriend is always a treat, but the chance to visit with Patricia Sands twice during her stay in Provence was a gift. On the first occasion, we met at Cuisine de Comptoir, in Arles, a down-to-earth restaurant that serves tartines (open face sandwiches) on pain Poilâne (a sourdough bread that traces its origins from a 1932 Parisian bakery). 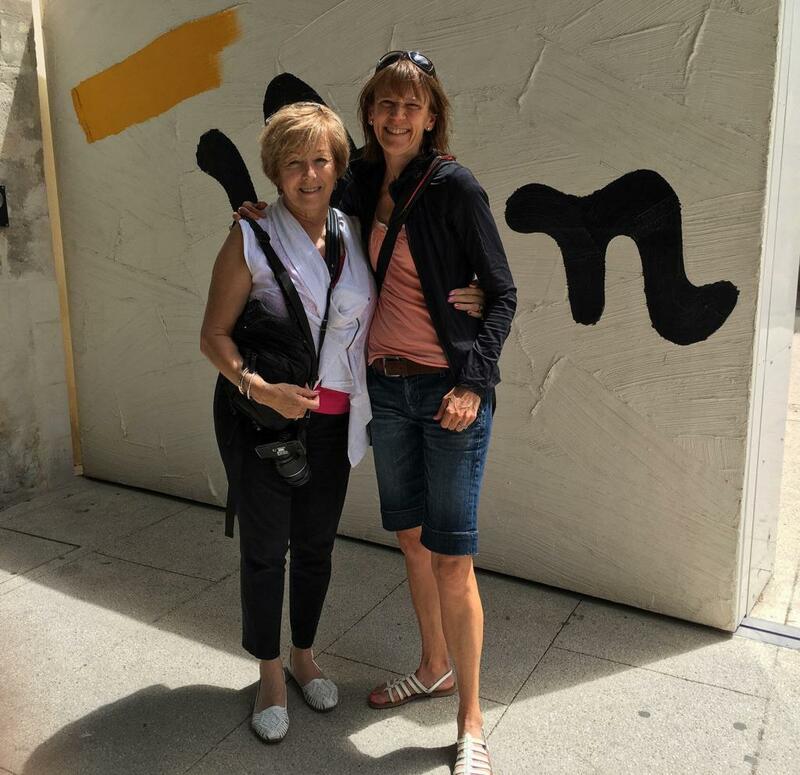 In 2016, Patricia Sands and her husband spent two weeks exploring Arles and the Bouches du Rhône area. She arrived at the restaurant with a smile as bright as the Provencal sky. Provence for Sands (like many of us) is her happy place, and historic Arles begs for exploring with a camera. The catalyst for their short stay in this city on the banks of the Rhône River was a home exchange request. However, there was something about Arles that had stimulated Patricia Sands’ creative writing juices. 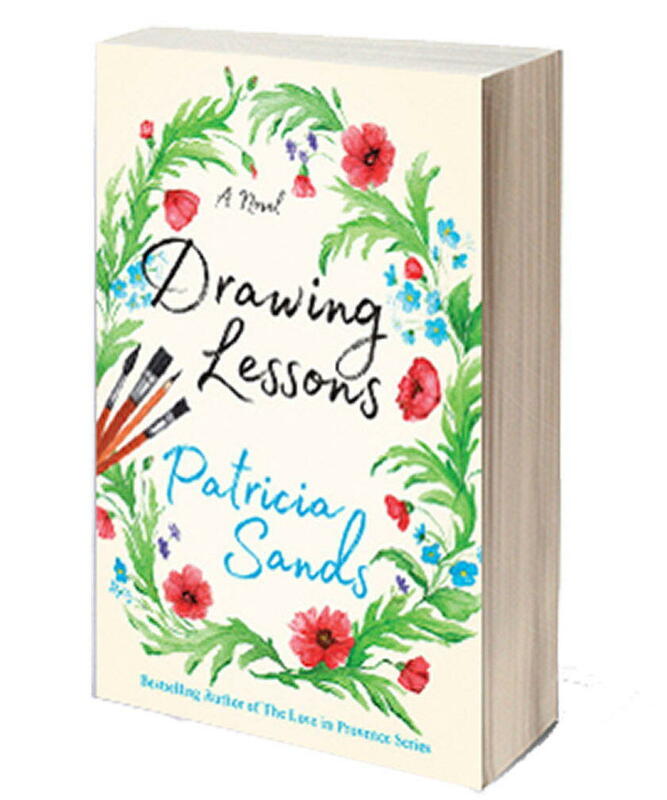 Drawing Lessons Patricia Sands’ latest novel was published on October 1st. Please read to the bottom for details on a book giveaway. Drawing Lessons although based in Provence is a departure from her best-selling “Love in Provence” trilogy and its characters. Set between Toronto, Canada and Arles, France the book is a love story intertwined with a tragic turn of events. Deep-rooted Greek family traditions and work ethic shaped Arianna’s personality as the novel’s main character. Her husband Ben slips into their family conventions like a glove working side-by-side with Arianna’s father in the kitchen. Over-time the couple assumes the responsibilities of the restaurant business and its associated struggles. This book is a poignant portrait of a woman who must learn how to create a new life for herself. Sixty-two-year-old Arianna arrives in the South of France for a two-week artists’ workshop full of anticipation but burdened by guilt. Back home in Toronto, she has been living with the devastating diagnosis of her husband’s dementia and the heartbreak of watching the man she’s loved for decades slip away before her eyes. What does her future hold without Ben? Before her is a blank canvas. Encouraged by her family to take some time for herself, she has travelled to Arles to set up her easel in the same fields of poppies and sunflowers that inspired Van Gogh. Gradually, she rediscovers the inner artist she abandoned long ago. Drawing strength from the warm companionship and gentle wisdom of her fellow artists at the retreat—as well as the vitality of guest lecturer Jacques de Villeneuve, an artist and cowboy—Arianna searches her heart for permission to embrace the life in front of her, and like the sunflowers, once again face the light. In Drawing Lessons, Sands captures Arles in such a way you might think she spent years in the city reading its ever-changing painter’s light and the fascinating patinas on the old doors and shutters. Through the story’s progression, Sands dives deep into a disease that is a sad reality for many families. Sands selects art (painting) as the medium for Arianna to begin her healing process and the backdrop of the Camargue as a wild natural canvas. Sands’ husband suggested the book’s title; a capture of art, learning and self-healing in just two words. The book’s cover features a poppy, which is a potent symbol for the story, representing the fragility of life but also the resilience of this delicate blossom. 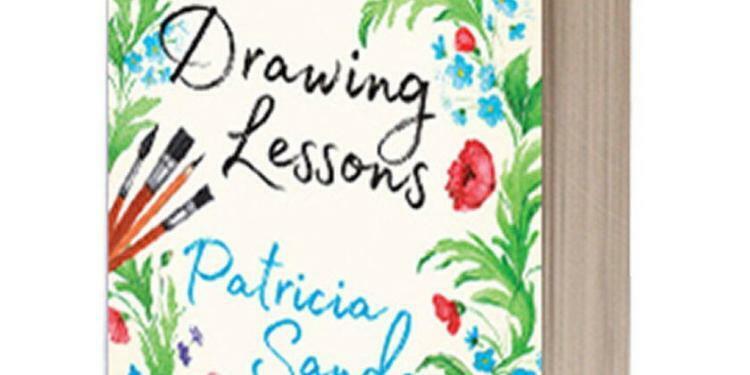 Patricia Sands agreed to answer a few questions related to Drawing Lessons. Did you have the idea of writing a book based in Arles before your visit? My editor at Lake Union Publishing asked for a stand-alone novel from me, so I wanted to set it in a different part of Provence from the Love in Provence series. Unexpectedly, as we were planning our 2016 trip to France, we received an enquiry about a home exchange in Arles for two weeks. 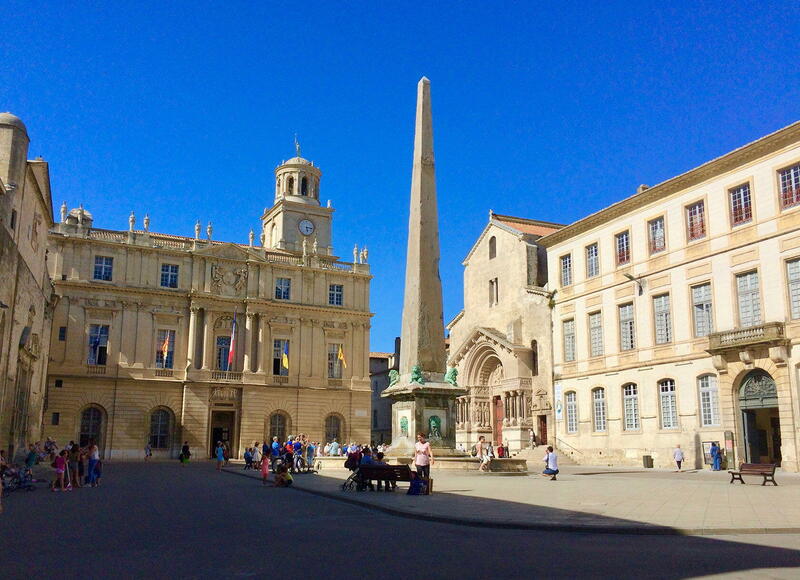 We had visited Arles briefly a few times and knew we would love to spend more time there. Having the time to research and photograph that beautiful town and the intriguing Camargue, I knew I wanted to set a story there. What “spoke” to you in Arles and convinced you that it should be the setting for Drawing Lessons? 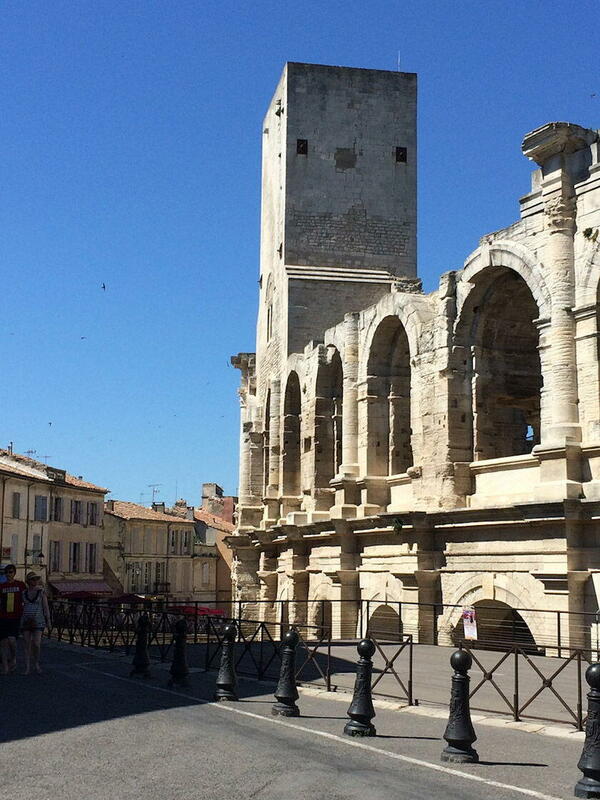 I was already taken with Arles and getting to know the town intimately caused me to truly fall in love with the city. With all the influence from artists who had painted there, and notably van Gogh, it made sense for my protagonist to be an artist. While I was there the story developed quickly. The details kept falling into place. 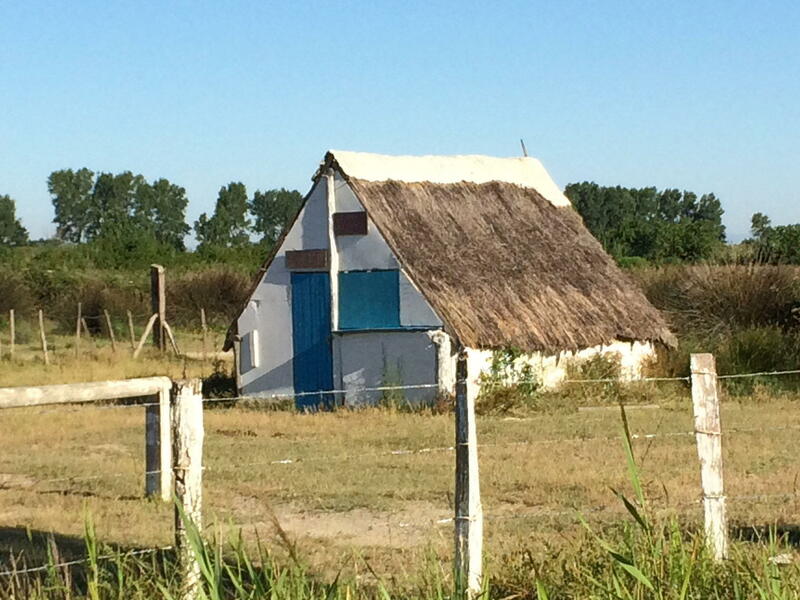 What was the defining moment or place in the Camargue that convinced you to include this area in your book? 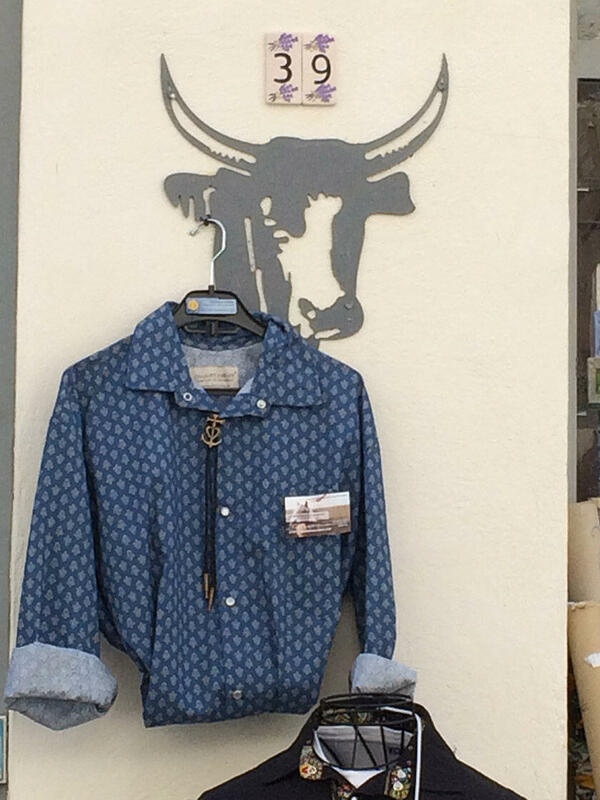 Once I began to research the Camargue and learned about the culture of the horses, bulls and gardians, there was a certain romantic element that I could not deny. It was fun to create the character of Jacques de Villeneuve, an artist and gardian. I was fortunate to be introduced to a man who was a passionate photographer and knew the Camargue well. He took me there and taught me things I would never have discovered on my own. Why did you feel it was important to introduce dementia into the story? I knew I wanted Arianna (the protagonist) to be facing a crisis in her life, giving her the reason to go to France. Dementia, in many different forms, is so prevalent today, I wanted to address it. It happened that I knew a woman who had faced a very similar situation to Arianna. She was very gracious about spending an afternoon with me and guiding me through her personal experience. That was a tremendous help to me developing my characters. I thank her in the acknowledgements. How did you get into the artist’s brain? I have a dear friend who is an artist, and we had many conversations. Then I also had the good fortune of advice from some other artists with whom I connected while I was writing the story. In fact, it’s funny how some things happen. I visited an artist’s studio in Florida and mentioned what I was writing to the woman. She said she would be happy to answer questions and that she would call me. When she did, I told her the basic premise of the story. I realised she was crying and she said, “You are telling my story.” Then she recounted how her husband had dementia for a few years before he died. Some period later when she had been struggling with how to move forward with her life, and she went to a two-week artists’ workshop in the Dordogne. It changed her life, just as my character’s life changed. I was amazed at the coincidence. How long did it take to write the book once you got started? It took about eight (8) months to complete the first draft and then there were a few months of editing and honing it to the final product. Will there be a part two? LOL ~ That’s what everyone asks. It’s not the plan, but the ending does lend itself to that possibility. Patricia Sands is generously offering to one signed copy and two e-books. What is your connection to art and where you live? Tell us where you live and a comment below for your chance to win. Winners will be selected on December 6, 2017 via random draw. Click here for a hardcopy or Kindle edition. Is Provence Calling To You? Image Credits: All photos (expect for the one outside Fondation Van Gogh) were provided by and published with the permission of Patricia Sands. Thank you for the interview and helping us better understand the creative process behind it–very interesting! I loved the book and admire how well Patricia captures the sights and sounds and smells of Provence. I can’t wait to get back! Thanks Keith. I think we all feel the same way…can’t wait to get back to Provence. Love Patricia and I’ve been dying to read this one! My mother and I own a paint-and-sip studio in Camarillo, California where people come to paint a picture while drinking wine/beer/you-name-it. I am one of the instructors and I love teaching people who have never painted before to create a piece of art that they will love. It’s so inspiring to see how proud folks are of the beauty they create and very rewarding to watch them come alive in the studio. We have been embraced by our community and we have embraced right back. Art unites people of all backgrounds and we have been so blessed to be a part of it! Hi Jessica: I love your paint and sip concept, it might improve my lack of skills. Thanks for reading the post on Patricia’s book. Your name has been entered into the draw. Good luck. Please sign-up for our newsletter, if you have not already done so. And feel free to share Perfectly Provence with friends. I live in Tx and would love to read Drawing Lessons. I read the Provirnce Series and loved them. Thank you for chance. Hi Marilyn: Thank you for reading the Drawing Lessons book review. Your name has been entered into the draw. Bonne chance! Please sign-up for our weekly newsletter for great articles every week. I live in Oamaru New Zealand so hoping I can enter . The town has become a tourist attraction as the Steampunk capital in NZ, also has saved a lot of Heritage buildings which all contain quirky arty business’s so an interesting wee town in the South island . Love a chance to read this book ,it sounds wonderful . Hello Lesley of course you can be entered in the draw. Thank you for reading the book review and for your interest in Perfectly Provence. Please sign-up for our weekly newsletter and share with friends who might be interested. Hello. I live in Buffalo, NY. I love going to the art gallery here, learning about the Pan-Am Expo that was here years ago, & taking pictures when I can. Thank you for the interview. This book sounds very interesting to me! 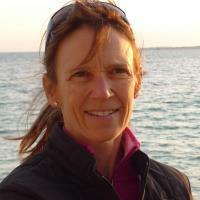 Hello/Bonjour Cora: Thank you for reading this article and submitting a comment. Your name has been entered into the random draw – wishing you – Bonne Chance! We would be thrilled if you sign-up for our weekly newsletter and share with friends too. Happy Sunday! Hello. I signed up for the newsletter & shared this on Facebook. Have a wonderful day!! I live in a small rural town in Ohio. Washington Court House. We do not have an art museum close to us. I have many family members who are artistic. I have their pieces on display in my home. Hello Kelley: thank you for reading about Patricia Sands’ latest release “Drawing Lessons” is about art, love and of course Provence. Your name has been entered into the random draw – wishing you good luck! Please sign-up for our weekly newsletter and feel free to share with friends. I am just getting into adult coloring. My association with art is that I am not an artist but I can appreciate it. I love taking pictures. My hope is that one day it will adorn my home. Hello Sonnetta: Thank you for commenting, your name is now entered in the random draw. If you are interested in Provence and artists from the region please sign-up for our weekly newsletter http://eepurl.com/bwOBND and as a bonus you will get a copy of our Christmas menu . Great interview! My connection to art is as a viewer, an appreciator. I live in Las Vegas. Thanks for this opportunity! Hello Cheri: Thanks for reading the “Drawing Lessons” book review. Your name has been entered in the random draw. If you are interested please sign-up for our weekly newsletters http://eepurl.com/bwOBND and as a bonus you will get our holiday menu for December. I live in Birmingham, AL. I am not an artist, but I love original art. Lucky for me, there are many original art galleries in my immediate. We have many talented artists living in the region. Would love to read Drawing Lessons. It’s high on my to-be-read list. Enjoyed the interview with Patricia! Signing up for your newsletter now. Thanks! I live outside of Eugene Oregon. I’d love to read this book and thank you for sharing the above with pictures too. Happy Holidays. 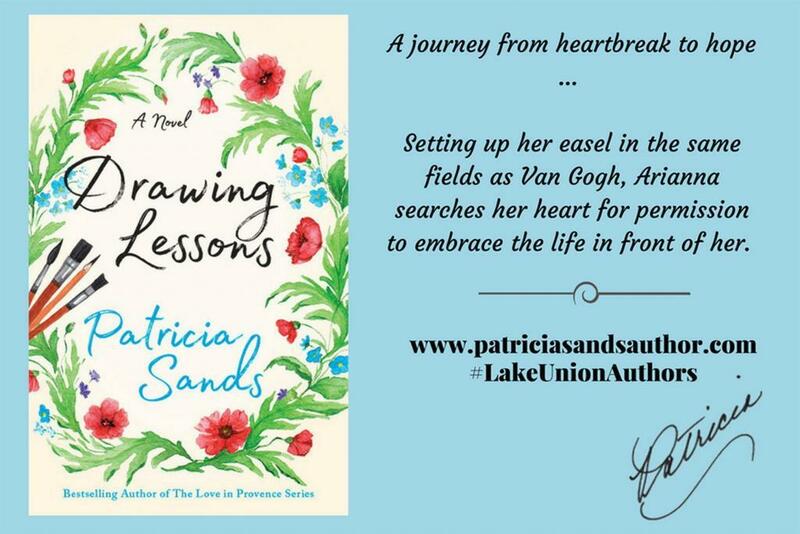 Hello Kate: Thank you for reading the book review about “Drawing Lessons.” Unfortunately, the contest (giveaway) is finished, but you can order the book here http://patriciasandsauthor.com/about-drawing-lessons/ Via Barnes and Noble or Amazon. Enjoy it is a great read. If you have not already done so, sign-up for our newsletter here http://eepurl.com/bwOBND and you will receive a copy of our seafood Holiday Menu. Afer reading this article, I’d love to read the book. I like novels set in areas with which I am not familiar; one can learn so much from the details of the novel. I;m trying to teach my self to watercolour just well enough to “illustrate” my travel journals. That’s proving to be an unending journey itself. Hi Patricia: thanks for reading the book review. Drawing Lessons is one of my favourite Patricia Sands books so far. If you want to buy the book here is the Amazon link.